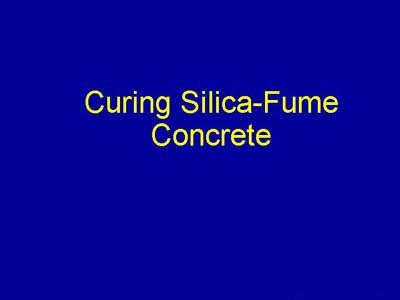 This section of the presentation describes the final step in working with silica- fume concrete -- curing. In many respects, curing is the most important of all of the steps. Without adequate curing, the silica-fume concrete may not perform at the level that was anticipated when it was specified for a particular project.